Retired Chief Justice of the Georgia Supreme Court Leah Ward Sears provided the keynote address. For over 19 years, the Rollins School of Public Health and Goizueta Business School have honored the legacy of Martin Luther King Jr. through an annual community service awards program recognizing the work of organizations who exemplify the civil rights leader's legacy. The 20th annual Martin Luther King, Jr. Community Service Awards program held on Jan. 19, titled "Voices for Social, Economic and Political Justice," paid tribute to 10 Atlanta nonprofits that strive daily to create a world that is more socially, economically and politically just, particularly for the most vulnerable members of the community. Youth Connections, Inc. and StandUp for Kids were award recipients in the programs for children category. The Islamic Speakers Bureau, WRFG 89.3 FM, Asian American Legal Advocacy Center, Inc., and Global Growers of Georgia were awarded in the innovation for change category. Service advocacy awards were given to All about Developmental Disabilities, Caminar Latino, Adopt-a-Grandparent and Clifton Sanctuary Ministries. Retired Chief Justice Leah Ward Sears, Emory alumna and the first woman and the youngest person appointed to the Georgia Supreme Court, provided the keynote address. 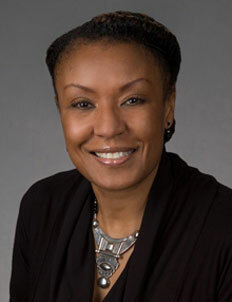 Sears recalled how her external appearance as a young African American woman with a unique hairstyle prompted some to prejudge her before they got to know her. "Sadly, all too often people only look at the outward appearance of others to make important judgments about them," said Sears. "We use race, ethnicity, religion and gender to delude ourselves into thinking that this information tells us who a person really is. Form and substance rarely correlate because what do we know about anyone based on how they look, where they come, or what religion they practice? It's wrong to judge people until we really know who they are and until we know the content of their character."